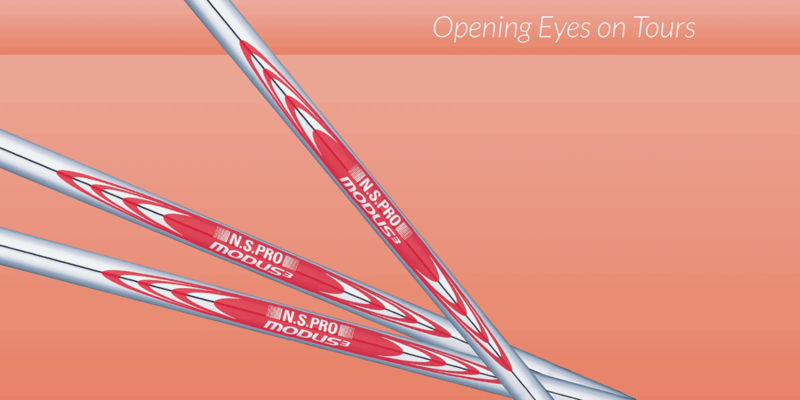 Not just the next in line, the new N.S.PRO Regio Formula+ models expands the Regio technology further allowing golfers to swing freely, powerfully for straighter, longer distances. It may even outperform the current tour-validated N.S.PRO Regio Formula models. The most premium driver shafts in the history of Nippon Shaft. Designed for straighter, longer distances, the N.S.PRO Regio Formula+ models match closer with the tour-winning N.S.PRO MODUS3 Series due to the continued refinement in structure that allows golfers to swing powerfully. The N.S.PRO Regio Formula+ models are made with high initial velocity, low spin graphite sheets (7-axis graphite sheet wrapped on the whole shaft, with an additional 9-axis graphite sheet at the tip section) made from T1100G+ NANOALLOY®, that improves hoop strength that reduces deformation and accelerates hoop reformation. 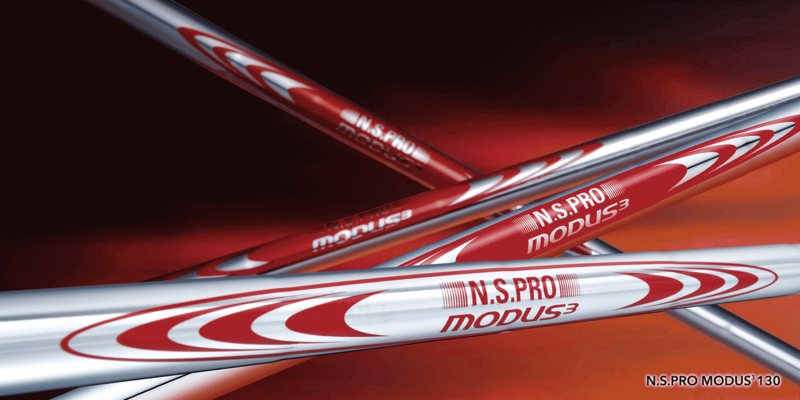 Performance and swing feel matched closely with the refined N.S.PRO MODUS3. The N.S.PRO Regio Formula+ structures are more aligned with the rigid bend profiles and consistent performance of the N.S.PRO MODUS3. With the the N.S.PRO Regio Formula B as the benchmark, we achieved a significant improvement in hoop strength and accelerated hoop reformation with low spin graphite sheets (7-axis graphite sheet wrapped on the whole shaft with an additional 9-axis graphite sheet at the tip section) made from T1100G+ NANOALLOY®. With the fastest hoop reformation in the history of Nippon Shaft, Regio Formula B+ boosts the ball's initial speed while reducing spin. The result of matching new materials reduces the loss of “hitting energy” and now makes it possible to transmit full power efficiently to the ball. The ideal system of shaft matching proposed by Nippon Shaft is now possible as Regio Formula B+ closely mimics the structural and playing characteristics of the N.S.PRO MODUS3 TOUR 120 irons shafts. This allows golfers to freely swing the driver and irons powerfully for the same swing and impact feel for additional distance and improved consistency. Inheriting the characteristics of N.S.PRO Regio Formula M, specifically the very rigid grip section that reduces deformation, we improved hoop reformation force by the use of low spin graphite sheets (7-axis graphite sheet wrapped on the whole shaft with an additional 9-axis graphite sheet at the mid section) made from T1100G+ NANOALLOY®. We created a straighter bend profile for the Regio Formula M+ by increasing stiffness in the mid/tip section, which now matches closer to the performance and feel of the MODUS3 TOUR 130. And like the Regio Formula B+, T1100G+ NANOALLOY® was used for the full shaft body. We refined the Regio Formula M’s acclaimed rapid shaft reformation by improving the acceleration performance and refining the robust feel loading the shaft during the backswing. We further improved a feature of all our shafts: solid impact feeling. Now we are confident you can swing more freely and powerfully to giver you the longest distances ever. We increased shaft stability which transmits swing power more directly to match the dynamic feel and performance of the MODUS3 TOUR 130. 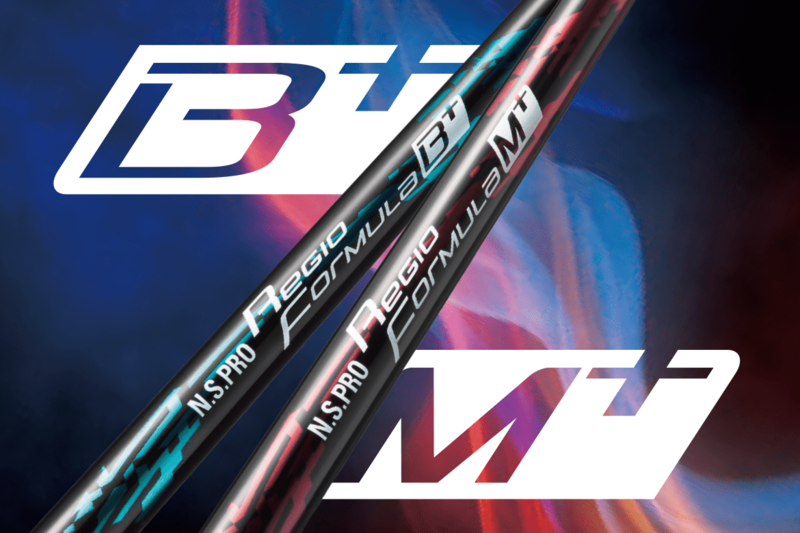 Compared to the N.S.PRO Regio Formula M, the Formula M+ is designed with a firmer mid/tip section that responds similarly to the same power and characteristics as the TOUR 130. A unique, gentle bend profile allows golfers to swing the driver and irons similarly, smoothly, thus validating the shaft matching system unique to Nippon Shaft. Not only was the distance increased but trajectory control and consistency improved as well.